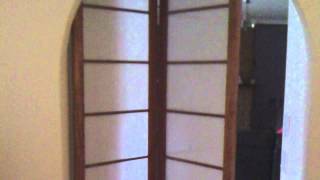 Project a feeling of Asian inspired peace and tranquillity with a Japanese Shoji Screen. A Shoji, which means ‘Interceptor’ in Japanese, is a sliding window or door panel in a traditional Japanese house. 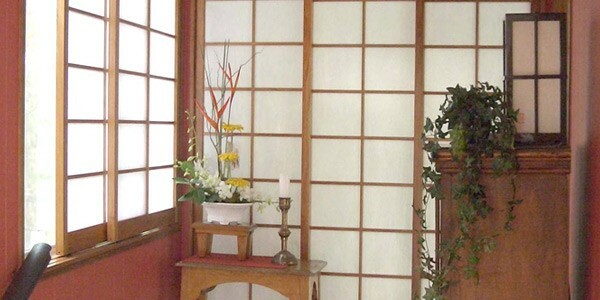 Traditionally, the Shoji panel was used to divide and / or enclose rooms. They allow soft, diffused light to filter from the outside, and provide a muted, cosy ambience within your home or work environment. 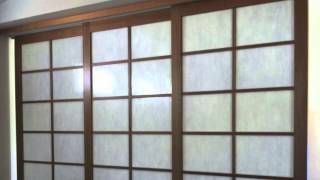 Shoji Screens create privacy and subtle partitioning, whilst still retaining a sense of interior spaciousness. Starting from $790 – Depending on material, accessory options and control options. Based on size 1500mm x 1200mm kitchen/bedroom window. The frames of our Shoji Screens are made from Tasmanian Oak, New Guinea Rosewood, Western Red Cedar or Kaudamu. These distinctive hardwoods have the ideal grain and density suitable for Shoji Screen reproduction. 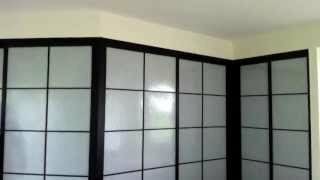 Shoji Screens are imminently versatile, and can be used as a room divider, sliding door, or as a panel for permanent or temporary partition of space within a room. They also work well as a bi-fold screen.